How long has it been since you replaced your system's filter? Changing it regularly can keep your HVAC appliance—and you—healthier. Believe it or not, in one fell swoop you can lower your energy bills and improve the air quality in your home. The secret? It’s simple: Clean or replace your HVAC filter on a frequent, regular basis. Some savvy homeowners are well aware of the vital role the HVAC filter plays, but many people don’t even know it exists, let alone that it requires attention. Those who neglect their HVAC filter do so to the detriment of their home, as failure to clean or replace the component creates not-so-insignificant problems. For one thing, a clogged filter forces the heating and air conditioning system to work harder than strictly necessary. That means, in the near term, higher monthly energy costs. Over the long term, stressed HVAC equipment doesn’t last as long, reaching the end of its useful lifespan well before it would have under optimal conditions. In addition, a clogged filter potentially leads not only to a dustier home, but to higher concentrations of airborne particulates. Costly in terms of both money and health, these surprisingly common issues can be easily solved, if not totally prevented, through maintenance. 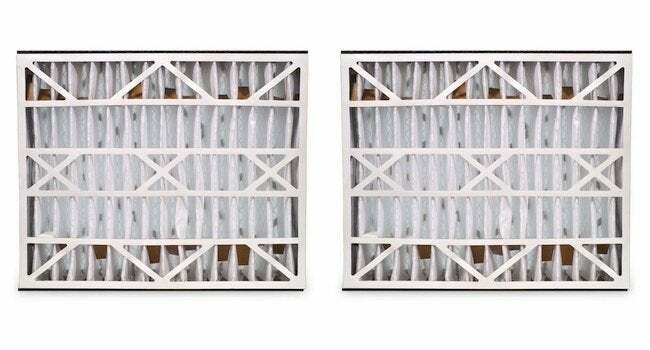 The HVAC filter traps dust, dirt, and miscellaneous debris, but its main purpose isn’t to purify the air. In fact, the filter exists first and foremost to protect your heating and cooling appliances. Daniel O’Brian, a technical expert with SupplyHouse.com, says, “Air filters defend your heating and cooling equipment from all the horrible stuff floating around in your home.” It’s in the process of protecting the system itself that the HVAC filter ends up protecting both you and your bottom line. After all, the same things that hamper indoor air quality also work to hamper the proper operation of a forced-air heating and cooling system. With a fresh filter in place, more dust and other particulates get removed from circulation, benefitting both your climate control appliances and your family. In the absence of debris that would upset its efficiency, your system runs at minimal cost and, according to O’Brian, “doesn’t burn out before it should.” In a sense, the HVAC system rewards you for taking care of it. The trick is to check—and if necessary, clean or replace—the filter not once in a blue moon, but on a consistent schedule. How often do you need to inspect the filter? That depends not only on the type of filter you’re using, but also on a host of variables specific to your home. To illustrate this point, O’Brian explains, “If you smoke or have pets, you should be checking the filter more often than your neighbors do.” Barring those factors, manufacturers recommend checking the HVAC filter with each change of season. Remembering to do so may be the most difficult part of all. O’Brian notes that “some thermostats or systems can be programmed to remind you when to check the filter.” But if you happen to forget, certain signs indicate that the filter requires maintenance. For one thing, keep an eye on the dust levels in your home. If you notice an excessive buildup of dust, a clogged HVAC filter may be to blame. 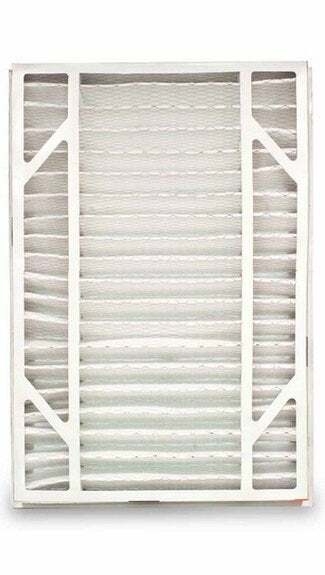 Likewise, if your heating or air conditioning system seems to be running non-stop (not cycling on and off), chances are good your filter needs to be cleaned or replaced. Many filter types are readily available. While some are designed to be disposable, others are meant to be reused. When a disposable filter becomes clogged, you simply throw it away and replace it with a new one. In the case of a reusable filter, you rinse away the clog, then put the filter back into position. Both types do a fine job of protecting the HVAC equipment, but the latter usually capture a wider spectrum of impurities. For their relative ability to boost indoor air quality, filters receive a Minimum Efficiency Reporting Value—a MERV rating. “The higher the MERV rating, the tinier the particulates that can be filtered,” O’Brian of SupplyHouse.com summarizes. Average homeowners are well served by any filter with a MERV rating between 10 and 12. Though filters with higher MERV ratings cost more up front, their reusability means they last longer. Plus, reusable filters need less frequent attention—every four months, compared to every month or two. Whether disposable or reusable, a new filter must be appropriately sized for the HVAC unit. “Sizing is pretty simple,” O’Brian explains. “Basically, just measure what you’ve got and get a replacement with the same dimensions.” For help selecting a filter, contact the professionals at SupplyHouse.com. 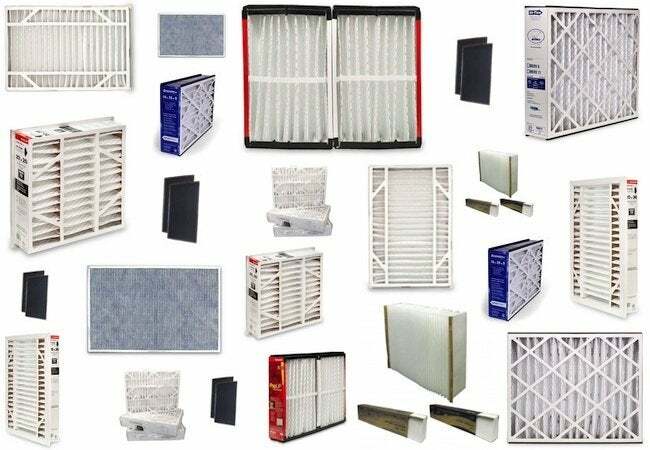 The company offers a wide assortment of replacement filters for industry-leading heating systems, air conditioners, and air cleaners. You can also get advice on installing the new filter, although generally speaking, the task couldn’t be much simpler. Anyone can do it, and in most cases it takes only a couple of minutes. Procedures vary from one appliance to another, but typically the process is as follows: turn off the heating or cooling unit; locate and remove the service panel; slide out the existing filter (located near the intake/outtake blower fan); slide in a new filter; and turn the appliance back on. Indeed, there’s perhaps no quicker, easier way to maximize the efficiency of your HVAC system while helping to improve the air that you and your family breathe day in and day out in the comfort of your home.